WOW! 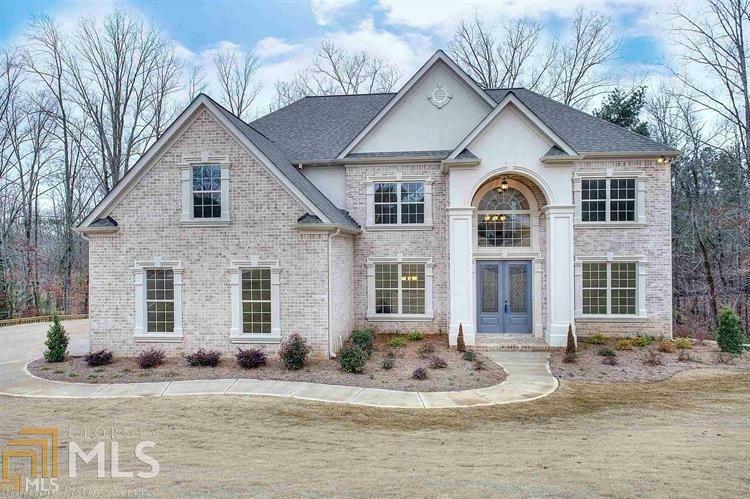 WHAT AN OPPORTUNITY TO MOVE INTO THIS BEAUTIFUL NEW 5 BEDROOM, 4 BATH, BASEMENT, MOVE IN READY EXECUTIVE HOME LOCATED IN THE ESTABLISHED MONTCLAIR NEIGHBORHOOD! THIS HOME BOASTS LOVELY HARDWOOD IN THE 2 STORY FOYER, DINING RM & KITCHEN. GUEST BEDROOM ON THE MAIN ALONG WITH SEPARAT LIVING RM/STUDY! ENJOY YOUR FAVORITE MOVIE BY THE FIREPLACE IN YOUR FAMILY RM. THE GOURMET KITCHEN FEATURES AN OVERSIZED ISLAND W/BREAKFAST BAR, DECORATIVE CABINETRY, GRANITE COUNTER TOPS & SS APPLIANCES. HUCE MASTER SUITE WITH SIITING AREA. MASTER BATH HAS TILE FLOORING, TILE SHOWER, DBL VANITY WITH GRANITE COUTER TOP & WHIRLPOOL TUB! UPGRADED TRIM PACKAGE , SPRINKLER SYSTEM. THIS BEAUTY CAN CLOSE IN 30 DAYS!!!!! Directions: I-20 East To Exit 82, Turn Right. Continue To 4th Traffic Light, Turn Right On 138. Go Approximately 4 Miles Turn Left On To Hwy 212. Go Approximately 1 Mile, Turn Right On Tucker Mill Road (Blinking Yellow Light). Community Is On The Left.